Cant' tell in the description of the channel, but is there any light quality/brightness loss from the channel cover? I use dimmers like these: https://www.amazon.com/gp/product/B0...?ie=UTF8&psc=1 which are normally used for dimming airplane dashboards. They have a 4-channel version that is even better than this one, and a 2-channel one the same as what I linked. Great information and mood lighting Nick. 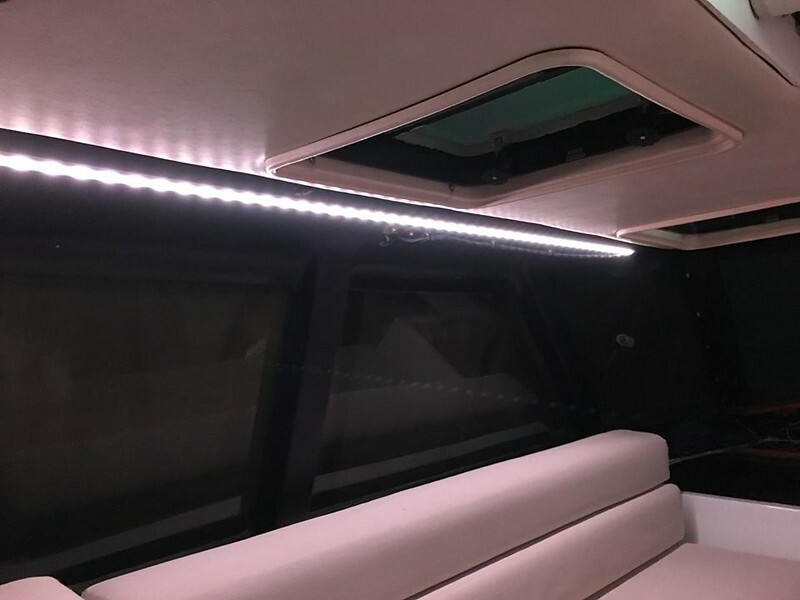 1 What is the optimum Watts per foot for strip Ambient lighting? 2 What is the optimum Watts per foot for strp Task lighting? It isn't just intensity but also a different color. The cockpit lights are the waterproof strips and I like the cool white best for it, but it is the low intensity kind. 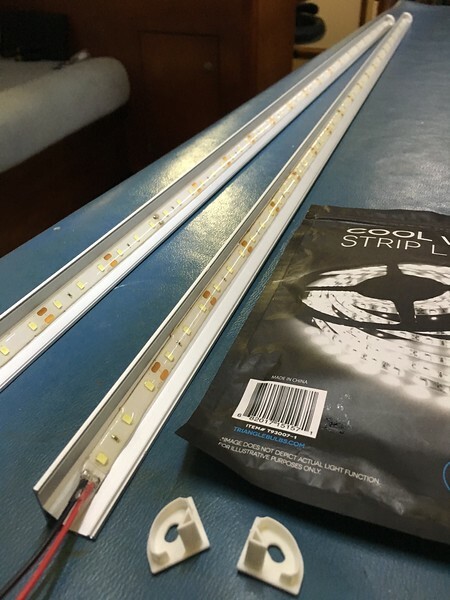 It is easiest to look at how the 3-LED pattern repeats: for normal strips it is 3 LEDs every 5cm and the high intensity is double, every 2.5cm. Same for the RGB LEDs: in the cockpit I use regular density but inside for the galley and navstation lighting I use a double density version. 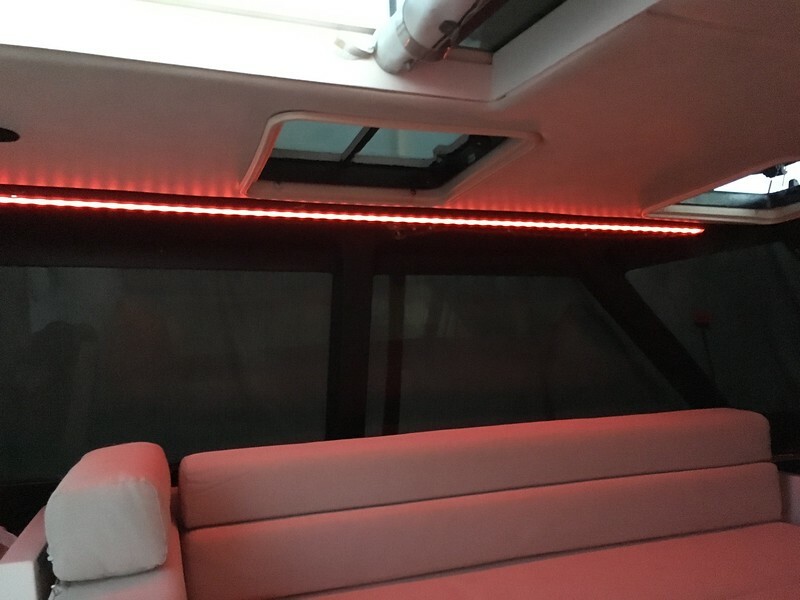 The pilothouse, galley and navstation are the only areas that get RGB for red night lighting.